Getting new automotive transponder keys. Pick up any car keys around you and you are looking at a transponder key. Unless the car was made in the eighties, before or till mid nineties, you would have transponder keys. Cars that were manufactured before 1995 and have undergone a facelift or an upgrade would also perhaps have transponder keys. It is necessary that you understand what automotive transponder keys are so you can hire the right locksmith when you need one. Imagine the old keys, even the ones you have in your house. They are shaped in a way to fit a particular lock. There are tumblers or cylinders inside the lock that would get turned only when the right key with the exactly shaped teeth would fit into the lock. The entire concept is mechanical. Transponder keys are not entirely mechanical. They are a piece of hardware and software. Automotive transponder keys will need to be of an exact shape to be compatible with the ignition lock. Only the exact size, shape and pattern would work. Once the key is inserted, it wouldn’t turn on the engine unless it has the chip that corresponds with the immobilizer. 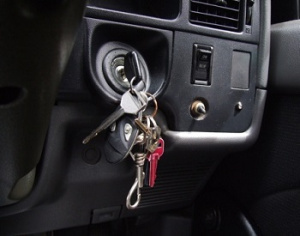 The immobilizer prevents the engine from being turned on by the virtue of the key alone. The transponder chip in the key and the software or system aboard the car must work in tandem. It is like an email account and a password or a Wi-Fi hotspot and a Wi-Fi device accessing the router using the security code. Once you have the right transponder chip in the key that physically fits into the lock of the car and the chip corresponds with the immobilizer and the software of the car, you can turn it on and off. You may lose a transponder key, it may be damaged, you may be locked out of the car or the ignition may not work for some unexplained reason. 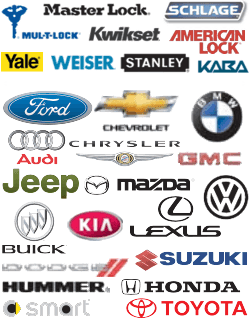 Regardless of the reason, you must hire a locksmith who is specifically trained and has the resources to work on transponder keys of the automobile brand, the model and year of make that you own. Automotive transponder key programming can be tricky even for the experienced locksmith. BMW transponder keys don’t have the same kind of chips or immobilizer in the car as Audi, Volkswagen, Chevy or Toyota. From resetting the code to formatting the device, installing a new chip to setting it up with the immobilizer, the knowledge and the tools, the expertise and the cutting of new automotive transponder keys, everything is unique and the locksmith needs to be an expert at it. Home » Getting new automotive transponder keys. Getting new automotive transponder keys. http://602locksmith.com/getting-new-automotive-transponder-keys/ 4.1/5 based upon 11 reviews.